The December Intel IT Center Forum features Andrew Butler, Vice President and Distinguished Analyst at Gartner Research, and Boyd Davis, General Manager, Data Center Group Marketing, at Intel. Together, they'll discuss converged architecture, simplification for the cloud, and whether hardware still matters in a cloud-obsessed world. Join us for discussion and add your voice to the conversation. A sound enterprise mobile app strategy focuses on automating and scaling 4 key pillars: back-end data/app integration, app composition/packaging/promotion, secure channel from device to enterprise, and tools to simplify app creation cross-device. Mastering these disciplines delivers native mobile apps that offer consistent and compelling user experiences and brand expansion through engaged developer communities. In this webinar, Forrester & Intel focus on how mobile middleware solutions have evolved the from traditional 3-tier web apps to provide direct access to back-end data via APIs. However, the evolution to this model presents new challenges to developers: inconsistent formats and protocols, inadequate security controls, and rapidly evolving interfaces, to name just a few. Keeping the most important workloads up and running smoothly, 24/7 can keep IT managers up at night. Additionally, the need to rapidly analyze the ever-increasing amounts of data being generated in connected world is major imperative. Increasingly, these challenges need to be met in a tight budgetary environment. You’re faced with a strategic choice: Continue to try to meet these growing demands with legacy infrastructure, or migrate your mission-critical deployments to an open-standards-based environment built upon Intel® Xeon® processor-based solutions solution stacks. Bring your most pressing mission-critical questions and challenges and ask the experts. This webinar will be live. From small start-up projects to globally distributed and operationalized multicluster data center deployments, the Hadoop framework is adding value to many organizations. Discover how the Hadoop framework is evolving to support advanced enterprise requirements for stability, reliability, and real-time analysis to support mission critical projects. Have more questions? Ask the experts! This webinar will be live. Intel® Xeon Phi™ coprocessor – the next leap forward in High Performance Computing. Learn why Intel® Xeon Phi™ coprocessor may be a compelling solution for your HPC environment. Each individual Intel® Xeon Phi™ coprocessor delivers the performance to extend the reach of applications that have demonstrated the ability to reach the scaling limits of Intel® Xeon® processor based systems. HPC clusters populated with Intel Xeon processors and Intel Xeon coprocessors can potentially see significant performance gains when properly tuned and optimized. The fabric becomes fundamentally important to delivering and maximizing the clusters performance. What are the hardware and software features that make Intel Xeon Phi uniquely different from other solutions in the market? How to design a high performance fabric that optimizes Intel Xeon Phi performance in cluster? Is your code highly parallelized and vectorized? Why is this important? How do I know? 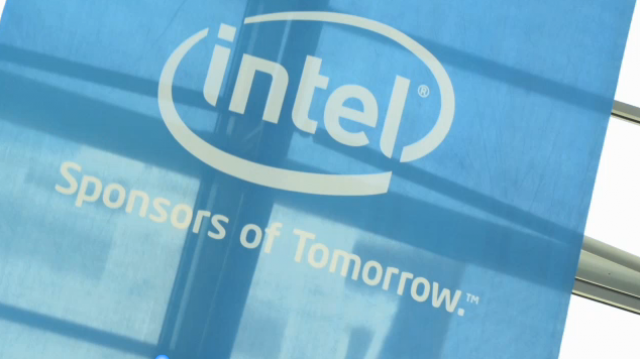 Learn how the Intel tools can help you get the best performance out of you applications. This is a webinar you do not want miss if you are interested in maximizing the performance of your HPC workload. Consumerization is much more than a simple Bring Your Own Device (BYOD) program; it’s about delivering the complete user experience that employees have come to expect. Find out how implementing a solid consumerization plan can increase flexibility, efficiency, and productivity. Tune in to learn best practices that will help you select the right tools for your consumerization overhaul. · Expand your end-user computing strategy beyond BYOD. · Embrace the consumerization of IT while keeping the enterprise secure. · Give your increasingly tech-savvy workforce the hardware they want and need to stay productive. · Gain insight from Intel IT’s effort to address consumerization in the enterprise and serve more than 25,000 employee-owned smart phones, thousands of employee-owned tablets, and hundreds of employee-owned PCs. This event will be live, so please bring any questions you have concerning consumerization. Attend this talk to hear how the Healthcare IT Maturity Model Programme is delivering leading insights for hospitals, enhancing their IT capabilities towards achieving improved eHealth outcomes. The programme assists a hospital’s IT function plan a more holistic approach to the strategy, implementation and running of electronic medical record (EMR) and general IT services. This talk outlines how to systematically improve performance of the IT organisation by using complementary management approaches, namely the IT Capability Maturity Framework (from IVI), NHS Infrastructure Maturity Model (from NHS DHID) and EMR Adoption Model (from HIMSS Analytics). We will also share early results from European hospitals, including NHS hospitals, plus details on how to participate. The Healthcare IT Maturity Model Programme is being supported by Intel Corporation, NHS DHID, Innovation Value Institute (IVI) and HIMSS Analytics Europe. HPC (High Performance Computing) is a fast growing technology used across many industries, as it has become the means to maintaining a competitive edge in a global economy. Whether your organization is large or small, global or local - HPC can mean a faster time-to-market, producing products at a lower cost and with more competitive features. This webinar will describe the value behind HPC and how it can help you and your organization become more successful. There are many aspects to HPC and one key attribute is performance. How do you design and implement an HPC cluster that will allow you to discover faster, run more simulation models to minimize expensive physical models? We will talk about the system attributes that enable HPC performance including the processor, memory and fabric. · Use big data analytics to generate new business insight and competitive advantage. · Work with business decision makers to identify use cases for big data solutions. · Manage the three Vs of big data—volume, variety, and velocity. · Adapt their data architecture and infrastructure to meet the demands of big data. You’ll also see how big data has changed their job roles, and how it could change yours. You’ll get an overview of the holy grail of big data—predictive analytics—and learn concrete steps you can take to put big data to work for your company, generating real business value. This webinar will be live, so be sure to bring questions and comments. The threat landscape grows more complex each day. The motivation has changed from fame to gain, and hackers are becoming increasingly sophisticated. Protect valuable data–and defend your organization’s entire computing environment–with hardware-enhanced security. · Provide zero-day protection that detects, blocks, quarantines, and removes stealthy threats before damage is done. · Proactively block rootkits and other new threats that can’t be detected by traditional security measures. Also, be sure to ask a question or two during the live question-and-answer session. It’s a great chance to get answers directly from industry experts on IT security. · Fend off attacks that circumvent traditional software-only-based security measures. · Step up authentication while saving costs with embedded hardware-based storage of authentication tokens and certificates. · Prevent screen scraping and other malware hijacks by verifying a human presence at the PC. · Reduce help-desk costs associated with lost tokens and smart cards, and minimize IT staff time spent on configuration and provisioning. Marty and Amy will also cover how our new solutions can assist you in narrowing your exposure window in disaster recovery scenarios. Our experts will then answer questions live, so be sure to bring a question or two to ask. It’s a great chance to get answers directly from industry experts on IT security. Yasser and John will also share some new innovative form factors with consumer-like capabilities and business-grade security and manageability. Bring your questions about the new features of the 3rd generation Intel® Core™ vPro™ processor for Yasser and John to answer live during the moderated question-and-answer portion of the webinar. Also be sure to bring your questions about insider threats for Grant to answer during the moderated question-and-answer portion of the webinar. With so many cloud options available today, it’s hard to determine the best strategy, architecture, and specific solutions and associated technologies your enterprise. Intel believes building cloud infrastructure is a journey—and appropriate planning, based on architectural principals, will ensure consistency throughout each implementation phase. In this webcast, you’ll get practical advice based on real-world experience for developing a private or hybrid cloud strategy that successfully builds on your existing or upcoming data center. We’ll discuss cloud strategy development, maturity framework, application and infrastructure assessment, the importance of aligned business processes, and lessons learned. Das Kamhout is one of Intel IT’s top go-to guys when it comes to cloud. He’s responsible for building Intel’s private cloud—an effort that has so far achieved remarkable gains for the business, including savings of $9 million to date. •Build a cloud that expands on demand, with self-service provisioning across the enterprise. •Drive 80 percent utilization of global data center resources with a focused refresh strategy across storage, network, and facilities. •Meet cloud performance objectives deploying the new Intel® Xeon® processor E5 family. •Achieve server consolidation ratios up to 20:1 with the latest-generation Intel Xeon processor–based servers. •Accelerate cloud deployment with open cloud computing best practices validated by Intel IT. Also be sure to bring your questions about private clouds for Das and Raejeanne to answer live during the moderated question-and-answer portion of the webinar. · Gain significant overall server performance. · Scale your private cloud. · Create a “root of trust” that extends from the processor up through the stack. Bring your questions about the new Intel Xeon processor E5 family for Mark and Dylan to answer live during the moderated question-and-answer portion of the webinar. Today's security threat landscape is rapidly evolving. From an explosion of mobile devices and IT consumerization to more advanced and persistent threats, the complexity of IT security is greater than ever before. Hear directly from Intel and McAfee experts on how you can incorporate remote security management using McAfee ePO Deep Command with Intel(r) Active Management Technology (AMT) to deliver beyond the operating system and help reduce security operations costs. Attend this webinar to get the first look at IT professional peer research. Intel asked 200 IT managers from enterprises around the country about their desktop virtualization projects. The top 5 key findings will be analyzed by Intel expert Jesus Garcia in an exclusive Intel IT Center video that premiers at this event. Whether you're currently in the middle of a desktop virtualization project, or have just started planning, this is an event you won't want to miss. Intel Desktop Virtualization Expert Jesus Garcia will be on hand to answer your questions. So, whether you're wondering about your delivery model options, what end users will benefit most, or have specific challenges you need to overcome, Jesus will have some keen insights to offer. ISVs have enhanced their Asset protection, Data protection, Identity protection and Content protection products by leveraging unique capabilities in Intel’s 2nd Generation Intel® Core™ Processor Family. This presentation will provide an overview of the technology, our ISV’s solutions, and a few customer case studies. Mr. Le Vernois is a charter member of the Services Program Office within the Sales and Marketing Group for Intel Corporation. A 25 year veteran of the computer industry, Mr. Le Vernois has held prior Senior Management positions with Sequent Computer Systems, Xerox, IBM, and Unicru; in various Sales and Marketing positions. Over the past 6 years, Mr. Le Vernois has played a key role in the development and execution of Intel’s Channel Services Strategy worldwide. Mr. Le Vernois is a member of Rotary International and is a Paul Harris Fellow. He is listed in International Who's Who of Professional Management. He holds a B.S. in Computer Science from Pacific Lutheran University, and a MBA from the University of Portland. Planning an IT project? The Intel® IT Center planning guides offer step-by-step guidance to help you hit the ground running. Based on Intel IT staff’s experience, we have guides for desktop virtualization, security in the cloud, client in the cloud, and next-generation data centers.